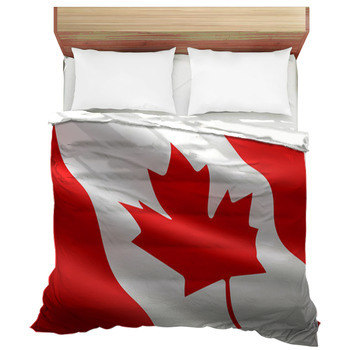 Canadians and friends of Canada, prepare yourselves: Canadian Flag bedding is bringing the beauty to your bedroom. 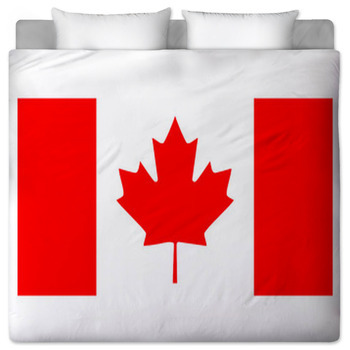 Like the flag itself, our custom bedding comes with a heavy emphasis on reds and whites, but can be enhanced with a pattern of your choice for your blankets, sheets, pillow cases, duvets, and more. 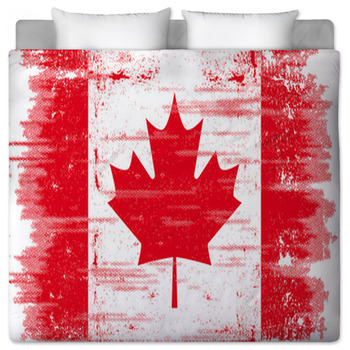 This bedding is not just for those living in Canada, either. 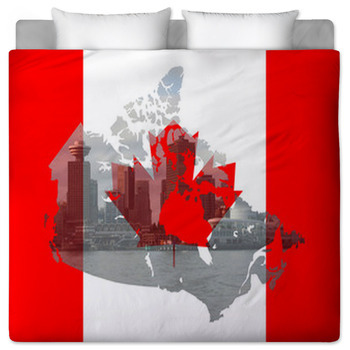 Anyone with a connection to the country, or even those who are just striving for an international theme in their bedroom or home will appreciate the excellence of these bedroom linens. 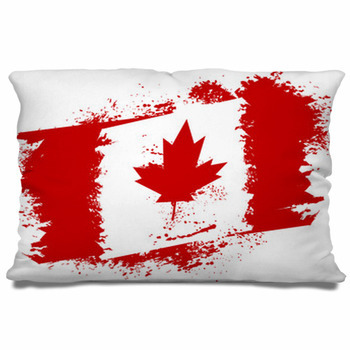 Here is how you can celebrate all-things-Canadian with home decor. The process starts with selecting a layout and pattern you want to use for the bedroom items. 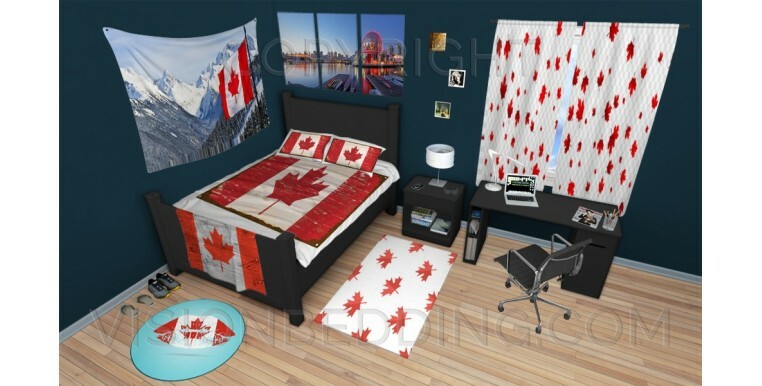 Then pick the photos, drawings or paintings of a traditional Maple Leaf Flag or a modern representation that you want to use on your Canadian Flag bedding-- either from VisionBeddings library or from your own pictures. 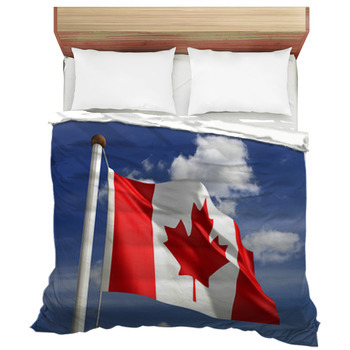 Then to create personalized bedding, send along a message you want included. This could be a personal message to someone, or even a persons name or initials, or your favorite line from the song O Canada. After that, VisionBedding will take it from there. We have a unique process that will dye your artwork into the fabric. 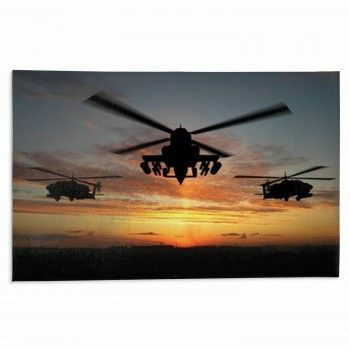 When you see the result, you will be stunned at just how beautifully the image comes through on the fabric. It will be like a cloth masterpiece. 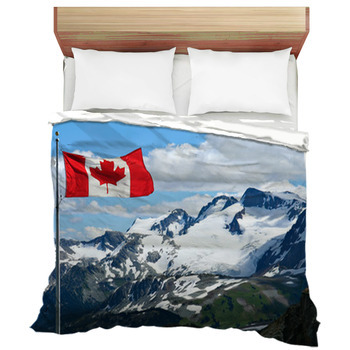 But don't hang it on the wall; you'll want to put it on your bed, because the only thing better than looking at bedding from VisionBedding is feeling how it feels. Its absolutely luxurious. 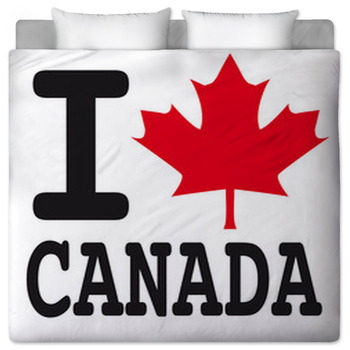 There's no better way to Canada than with VisionBedding home decor!.